What if you had to travel 2,000 miles? This is a guest post by Sarah Mwangi, head of the Watsi partnership at African Mission Healthcare Foundation. David is the only child crying when I get into the hospital ward. His mother is not there. The nurses tell me she is in the accounts office getting her discharge papers. I’m slightly nervous as I walk to his bed. What comfort could I possibly give to this four year old? I take a deep breath and hold David’s hand. In a few minutes, he stops crying and drifts off to sleep. Brenda (David’s mother) noticed that something was off with her son, when he began to wobble when he walked. She took him to a hospital in Ghana where they live. After a few tests, he was treated for malaria. A few weeks later, David’s gait was still abnormal. Given the state of healthcare in Ghana, Brenda took David to Togo (Ghana’s neighbouring country) for a second opinion. David had an MRI done and a tumor found in David’s brain. Brenda is currently a student studying at a university in Ghana. Her husband, Alain, is a government employee in public health and is based in Gabon. He had been out of work for a year and only recently gained formal employment. 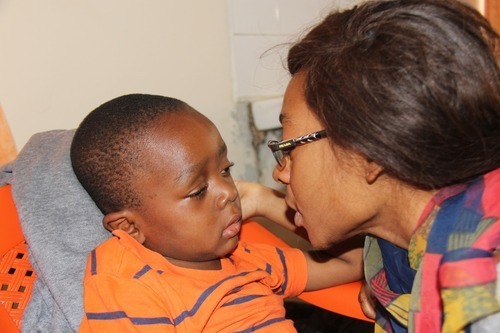 When the doctor in Togo told Brenda that her son would need brain surgery, she was distraught. Ghana, like many African countries, generally has inadequate healthcare infrastructure. Many of the people who live outside Ghana’s capital, Accra, or outside towns have limited access to healthcare institutions and even doctors. And those who do, must part with a lot of money to get it. Alain sought advice in Gabon and a pastor in his church advised him to take his son to Bethany Kids Kijabe Hospital, Kenya. Having heard about the hospital from his friends. He and his wife discussed this option with their family and decided that it was their best shot. They approached their church, which raised funds for David and his mother to travel to Kenya for surgery. 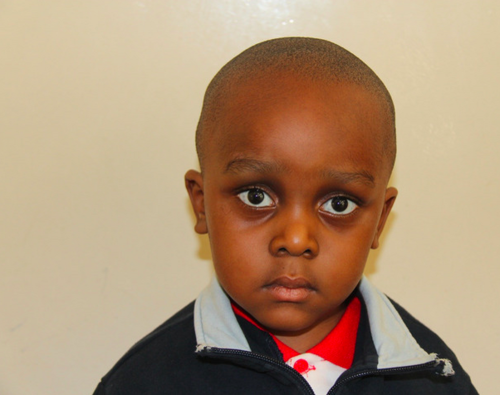 When David arrived at Bethany Kids Kijabe Hospital (a partner of African Mission Healthcare Foundation), he was diagnosed with a medulloblastoma, a cancerous brain tumor common in children. Brenda tells me that when she boarded the airplane to Kenya with her son, she had no idea how her family was going to pay for her son’s surgery. The only currency she had carried was faith and hope. When she arrived, she was profiled by a social worker and introduced to a Watsi representative who explained how she and her son would get assistance. David's story was posted on Watsi, and 24 donors from around the world contributed the $1,260 he needed for surgery. Willis (The Watsi representative) has kept coming to check up on me and David since we met. I didn’t expect this! Please pass my gratitude to all those who have helped us. May God truly bless them. David only represents a fraction of the lives that continue to be changed by all those who donate to Watsi. As I close my interview book, I’m deep in thought. Being a new mother to a five and a half month old boy, what if I had to travel over 2,000 miles? Over 2,000 miles away, Watsi is changing lives. 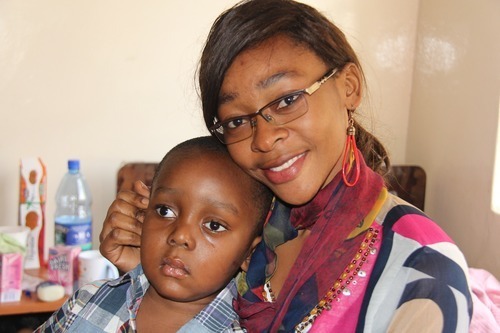 You can support a patient like David from African Mission Healthcare Foundation here.